In the largest ancient Indian empire, at the height of its power, its Buddhist king advocates for animals in his edicts, and tries to change India for good. In the fourth century BCE, the śramaṇa movement (anti-violence anti-ritual ascetics) has produced three religions: the vegetarian Jains, the freegan(ish) Buddhists, and the mysterious (and now vanished) Ājīvikas. The Mauryan Empire is absorbing almost all of the subcontinent, from present-day Afghanistan to the Bay of Bengal. 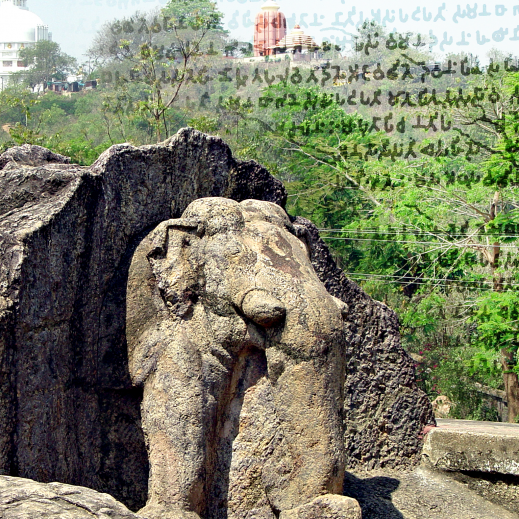 At its height in the middle of the third century BCE, the king – Ashoka – has edicts carved in stones and columns across the realm. Alongside the rulings and propaganda you might expect, his edicts oppose the slaughter and abuse of animals. Ian travels to the Indian Museum in Calcutta to speak with historian Dr Suchandra Ghosh. And he visits a hillside that looks down on the battlefield that – King Ashoka says – turned him way from violence forever, and where Ashoka erected an edict that still stands today.